The dB Life™ Sleepers can solve one of the important health issues facing many people today – lack of deep, uninterrupted sleep. dB Life™ Sleepers are custom fit to the individual wearer for maximum comfort using Skinsoft™ medical grade silicone, and allow the wearer to lie comfortably on their pillow in any position without pressure points caused by the protector. Your dB Life™ Sleepers will not come out while you sleep. Rest assured you will still be able to hear alarm clocks, fire alarms, smoke detectors, and buzzers. dB Life™ Sleepers are also available in a vented model for non-sleeping situations where you need inconspicuous hearing protection with enhanced communication. dB Blocker™, dB Com™ and dB Life™ are much less expensive to use than disposable earplugs or muffs. You can save up to 60% over 5 years on a program when an entire facility is fit. The cost per month for dB Blocker™ is lower because you can wear them for 5 years. 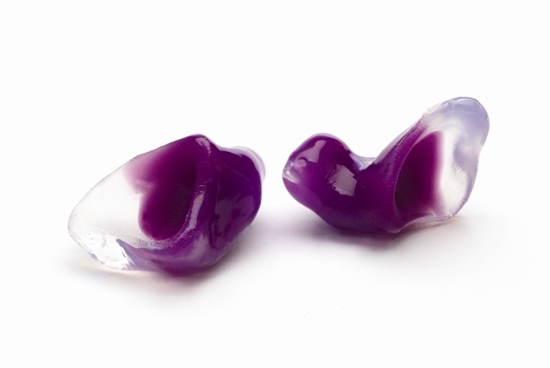 Ask us to show you how dB Blocker™ can be a cost effective solution for your hearing protection needs.